May 18, 2015 - Air India has for the first time instituted a psychological test on applicant pilots, as a result of, what is believed to have been the deliberate downing of Germanwings Flight 9525 by the co-pilot, 27-year-old Andreas Lubitz. Back on March 24th, Germanwings Airbus A320 crashed into the French Alps killing all 150 onboard. Air India has recently rejected 42 applicant pilots out of 160 as a result of those pilots not passing a psychological test. Of the 160 pilot, only 78 were able to continue on for pilot training and approved for employment with the carrier. 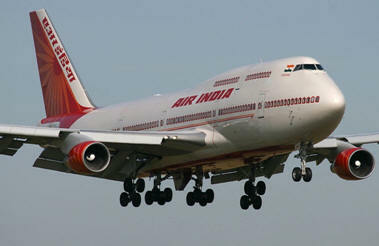 Air India was assisted with the psychological testing by the Indian Air Force. Indian Directorate General of Civil Aviation (DGCA) spokesperson Mohan Ranganathan said “If 25 percent of potential pilots have been red flagged by psychologists, it is a serious concern and should be looked into seriously”. “If we were mentally unstable, then why grant us medical certificate in the first place? Instead of a written test or a detailed questionnaire, the doctor just asked us random questions for 10 minutes and was scribbling notes the whole time, without inquiring about any medical condition or prior mental health history or checking our records”.